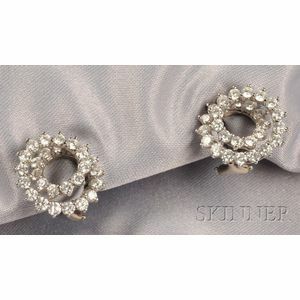 Platinum and Diamond "Spiral" Earclips, Tiffany & Co. 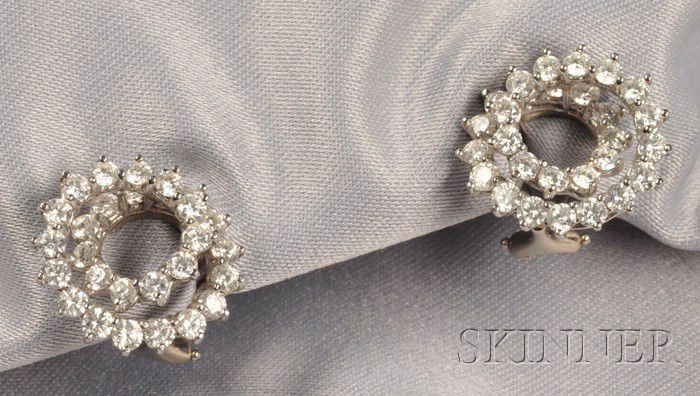 Platinum and Diamond "Spiral" Earclips, Tiffany & Co., each prong-set with full-cut diamonds, approx. total wt. 2.90 cts., lg. 5/8 in. signed. Omega clips with posts, one needs tightening, diamonds are lively, gently used condition. Earclips Tiffany & Co., Diamond, Gemstones, Silversmiths, Tiffany, Tiffany & Co.